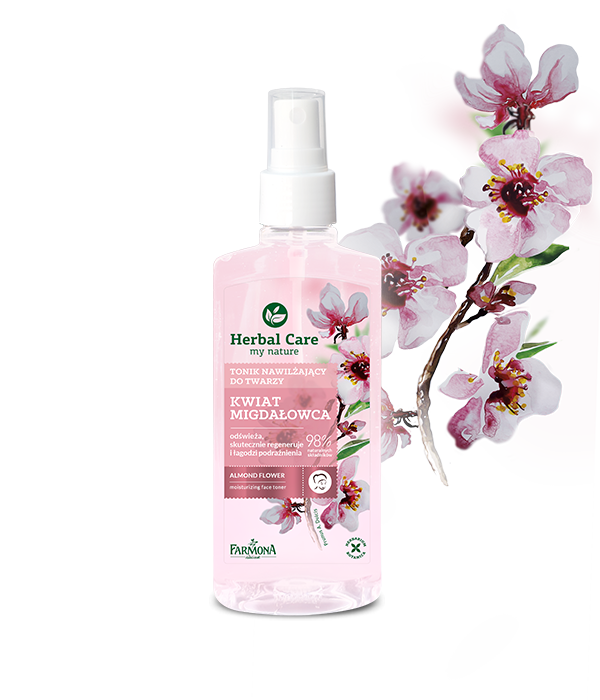 Our almond flower face toner is developed for any type of skin. We composed it with valued for centuries natural plant ingredients, which refresh , moisturize and restores neutral pH. Day by day skin is regenerated and soothed. Creating this formula, we used all our experience and rich herbiculture traditions, so we are confident about the results. Spray the toner onto the skin, or onto a cotton pad and wipe the skin. Use always when your skin needs refreshing. Aqua (Water), Glycerin, Panthenol, Prunus Amygdalus Dulcis (Sweet Almond) Flower Extract, Sodium Hyaluronate, Hyaluronic Acid, Propylene Glycol, Diazolidinyl Urea, PEG-40 Hydrogenated Castor Oil, Citric Acid, Disodium EDTA, Sodium Hydroxide, Iodopropynyl Butylcarbamate, Sodium Benzoate, Potassium Sorbate, Parfum (Fragrance), CI 17200.